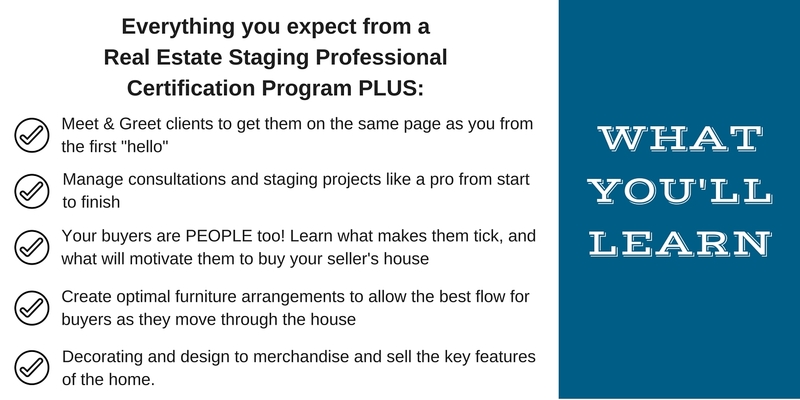 The ultimate in home stager training! All the benefits of in-class training from the comfort of your home, on your schedule! Finally, a home stager training program designed with you in mind, to give you the answers to the questions that you will have when you start your business. Everything that you need to get started in your home staging business, in one comprehensive course! Learn how to identify and address the critical factors to properly prepare a home for sale, and to provide your clients with a great experience and a successful outcome - every time. Our program doesn’t just provide a system for home staging, but it identifies, addresses, and provides an in-depth exploration of both the decorating and the design elements involved in preparing a home for sale. The act of HOME STAGING goes far beyond the final arranging and accessorizing! From the standard quick fix market-ready solutions, to larger renovation projects and upgrades, such as flooring, bathroom renovations, kitchen renovations, and more, as well as when to recommend these - we cover it all! Lifetime access to all online training modules, including training videos, training notes, worksheets, cheat sheets, numerous customizable templates, and audio lectures. Special rates and offers from SLS Academy's Accredited Vendors, including discounts on website design tools, paint, furniture, accessories, and more! Our fully customizable Client Care Package ($229 value) to maximize your consultation packages - includes numerous educational and informative inserts to provide to your clients with your consultations. Includes both Occupied and Vacant packages. FREE access to live webinars. 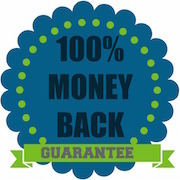 RESP Members Only Area - includes special offers and discounts from RESP Accredited Vendors (includes wholesale suppliers, website design, paint supplies, and more), SLS Academy continuing education course discounts, and special 1-on-1 mentoring offers. The decision to become a home stager is a life-changing one! We want you to make an informed decision - simply click on any of the buttons below to get the answers that you seek about home staging, and what a career in it means, including how to get started, what it takes to be successful, or any other questions that you might have. I thought the modules were very helpfull for me, i feel more confindent after working on these modules. It was very professional, clear, detailed and organized. Thank you Now i'm ready to start my new journey!! All the topics are very important and related to the nature of the job. All the information is very clear, precise and help you to prepare to be a RESP. Very thorough over view of staging. I found the modules very helpful and has given me the confidence needed to start my business. The one main comment I would point out is I'm not sure if The painting supplies are needed. However I did appreciate the color theory aspect of the idea. I am currently doing the business of staging and I am finding the knowledge extremely helpful as well. the one on one coaching is a great addition I'm excited to try. Ifeel like that is a wonderful advantage to this certification. This has been the best investment I have made in myself and in my future. The Real Estate Staging Professional Course is full of informative content that I have been able to apply to my business and personal home-styling. This on-line course is simple to navigate and is well designed-- making it easy to revisit for reference &/or review later in your career... The knowledge gained during this on-line course totally surpassed my expectations!!! Founder, Shauna Lynn Simon's expertise of; business, motivation, empowerment, style & partnership has made this experience enrich my life and made my dreams a reality. Well done SLS Academy, I am honored to be a student. I really enjoyed taking this course. It is full of detailed information regarding all aspects of home staging from the basic "what is home staging?" to wall art hanging heights and what to look for in a home. I appreciate all the time and effort that went into the content of this course as well as all the downloads and personalized templates. I highly recommend it for anyone that is interested in home staging. I feel that I learned way more information than I originally thought would be included in the course and I completed it feeling confident in my knowledge and what was presented. The value for what you get it incredible. I had done a lot of research and attended information sessions for other home stager training programs prior to learning about the SLS Academy. My search stopped there. Shauna Lynn's approach blew the rest out of the water with her real-life perspective. Never did she say that starting a home staging business would be easy - and she is absolutely right. But the abundance of resources and tools she provided (not to mention the in-person job shadowing opportunity) were exactly what I needed to launch my business systematically, confidently, and successfully. I am now 8 months into my business and the post-course support she provides is also a huge asset. 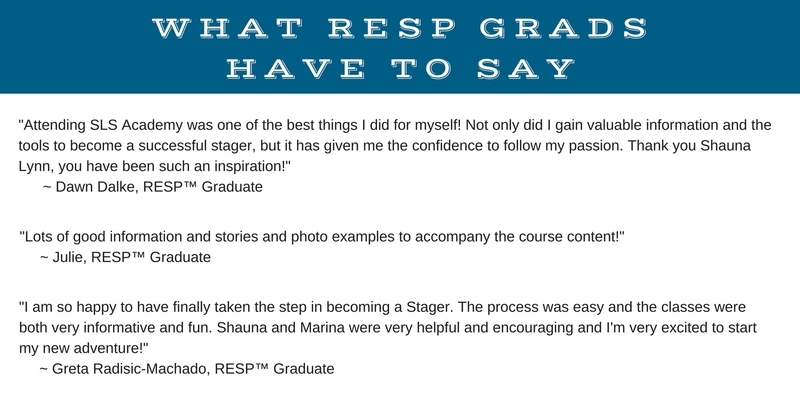 I would highly recommend the SLS Academy's RESP Certification Training!